Looks like Blaklader workwear is becoming more mainstream and will now be a little easier to find. 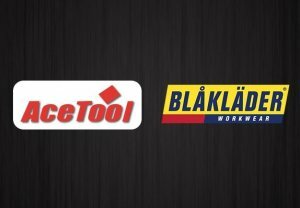 Over the weekend Blaklader announced on their Facebook page that AceTool.com (not to be confused with Ace Hardware) will now be selling the entire Blaklader US product line. This is not just great news because of the fact that you now have another place to buy Blaklader workwear, but this also gets the Blaklader name more visibility. While certain tool users know the Blaklader name, your average worker does not. Having their products in more online tool stores could change all that. Even though AceTool.com is carrying the entire US product line, Blaklader still has a ton of products that they do not ship here from overseas. If Blaklader becomes more successful in North America we could possibly see more products from their catalog make their way here. If you have been shopping for Blaklader pants over the years, you might noticed that the prices have gone up. A couple of years ago I purchased a pair for my Father from Amazon for about $45. Now Amazon has these same pants for $66—youch. In turn, AceTool has the pants for $60—not as low as they were a couple of years ago but still better than Amazon and other online stores. Keep in mind that this could be an introductory sale.